Mauritius is a remote island famous for its beaches, lagoons and reefs. But with a beautiful mountainous interior and strong cultural heritage there’s more to it than first meets the idea. 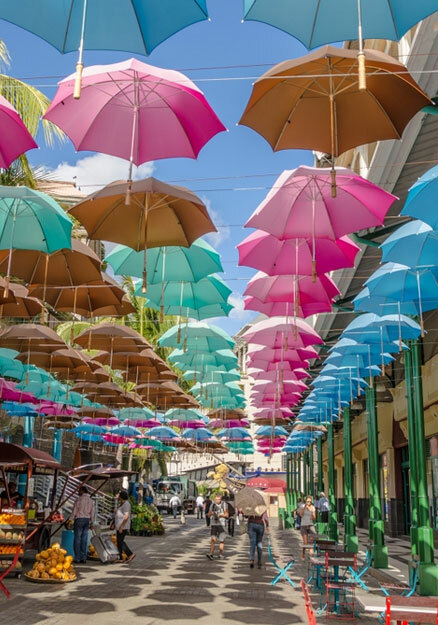 Naturally, Mauritius Tourism wanted to promote the island not only as a destination defined by its world-leading beaches, but also a place with a diverse range of activities available. Targeting a UK audience, Digital Visitor was tasked with delivering an eye-catching Facebook campaign, designed to attract new fans and potential holidaymakers to the island. We were impressed with how professional the whole Digital Visitor team was and how they were always working hard to ensure all our objectives would be met, and this was obvious in the campaign results which were amazing. We are already planning to work with them again on a yearly basis. To convey the diversity of the island, it was important to use a range of high-quality images, not only focused on the quality of Mauritius’ beaches. This grounding was structured around an interactive quiz app, which sat inside the Mauritius Tourism Facebook page. Once in the app, users were prompted to enter a competition to win ‘a luxury holiday in Mauritius’ by taking a short quiz and entering their details. To generate interest in Mauritius Tourism, we ran a series of targeted Facebook ads aimed at delivering the highest click through rate possible. Supporting this coverage were 10 pieces written by influential travel and lifestyle bloggers. This content, centered around the taste of Mauritius, succeeded in engaging combined monthly traffic of 205,000, resulting in 393,326 potential impressions. Our campaign with Mauritius Tourism successfully placed a different look at the island in the minds of UK holidaymakers. The results achieved surpassed everyone’s expectations, creating a foundation for the destination’s continued growth.